Nestled in the vibrant Geylang, Hotel 101 is within a 20-minute walk from the Aljunied and Kallang MRT stations, which offer easy access to the city. It offers complimentary Wi-Fi access. The air-conditioned rooms feature free local calls and bottled water. They offer a flat-screen TV with satellite channels. Tea/coffee making facilities and an electric kettle are included. The en suite bathroom comes with bath and shower facilities and toiletries. 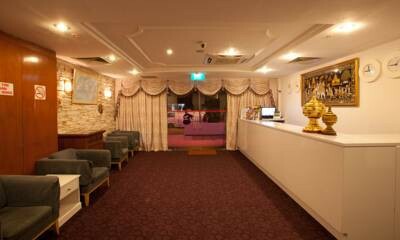 Just a stroll from local eateries, the hotel is a 25-minute drive from the Changi International Airport. Staff at 101â€™s 24-hour reception can assist with ticketing and airport shuttle services. There is also a tour desk, where travel arrangements can be made. The Hotel 101 is a hotel. Located in SINGAPORE area..
Descriptionclass="small" style="text-align: justify; font-size:11px;">Nestled in the vibrant Geylang, Hotel 101 is within a 20-minute walk from the Aljunied and Kallang MRT stations, which offer easy access to the city. It offers complimentary Wi-Fi access. 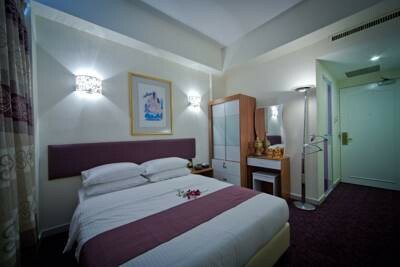 The air-conditioned rooms feature free local calls and bottled water. They offer a flat-screen TV with satellite channels. Tea/coffee making facilities and an electric kettle are included. The en suite bathroom comes with bath and shower facilities and toiletries. Just a stroll from local eateries, the hotel is a 25-minute drive from the Changi International Airport. Staff at 101â€™s 24-hour reception can assist with ticketing and airport shuttle services. There is also a tour desk, where travel arrangements can be made. Good value for money if you just want a decent place to sleep over. However the location of the hotel is along the red light district of Geylang. And you need to walk quite a long distance going to bus stop or mrt station. The rooms are quite old and smelly (smoke). Need to borrow the air freshener spray from the housekeeping to remove the unpleasant smell. We've stay here for couple of nights. Everything is good, the reception, the amenities (special mention: wifi). Recommended for budget traveler even with families. Though the locations is likewise not appropriate for kids. near food stalls, convenience stores and a few steps from bus stops. Very bad experience. Hotel amenities are badly maintained. AC not working properly also cleanliness not maintained properly. When we enter the room it smells badly. Many basic problems with this hotel like washroom door lock was not present. Toilet paper are missing, warm water in bathroom. 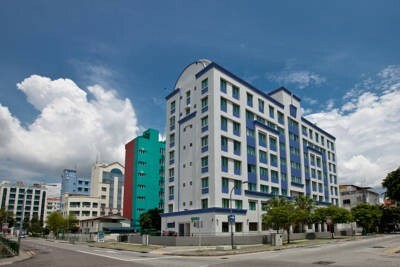 Needed somewhere inexpensive to stay in Singapore for a couple of nights & Geylang does the job for me. Hotel was nothing spectacular,room was nothing special,but clean enough & everything worked,A/C,shower & a clean bed,easy walk to find food,& about 10-15mins from Kallang MRT. I am fully aware that Geylang is the red light district,so have no issues in staying in that area when budget is important,obviously that area is not for everyone. Maybe if people looked into the area that they are staying first,then they would realise that it is maybe not for them before booking hotels. We were shocked when we arrived at the hotel to find half naked girls and dodgy looking fellas milling around the entrance and the street outside the "hotel", there happens to be a brothel right across the road. The hotel itself operates under 2 different names, "Hotel 101" and "Home Suite View Hotel" so beware. Check in took 15-20mins even though we were the only ones checking in and the receptionist apologized upon presenting the room key saying "sorry it is not the best room, thank you for understanding." When we opened the room door, we were hit by a damp mouldy smell and found the bathroom to be wet all over as if someone has just hosed it all down. There was no duvet in sight and dust was all over the floor. It was late at night and we had just landed from a 9hr flight so to us it was pointless to go down to reception to complain and fight a losing battle. I found a duvet and a fleece blanket inside the wardrobe but neither had any kind of cover/sheet on it so god knows how many people have used it and whether they wash it every time. The pillows inside the thin pillow case was stained yellow brown so I slept on my own travel pillow. The towels provided was thinner than toilet paper and the bath tub looked very dirty and worn with the shower head covered in limescale and scum so I did not even bother to shower as I am sure I would have gotten out more dirty than going in. Needless to say we checked out first thing in the morning and our clothes and belongings still stank of the damp mouldy smell when we got home to do our laundry. Never have I stayed in a worse place in my life and I have done my fair share of traveling and backpacking. By no means was I expecting any kind of luxury for the price that we paid but this place really falls below the basic level of hygiene that you would expect from even 1 star motel. My advice would be to avoid this so called hotel at all costs!